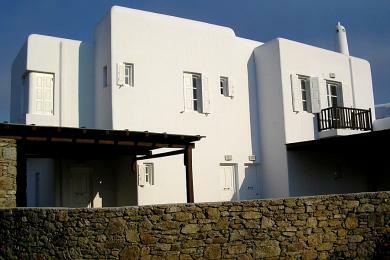 Ano Mera, two-storey newly built maisonette 200sq.m with basement, first class construction in luxurious complex of four maisonettes almost identical. The ground floor consists of a sitting/dining ares, kitchen, WC verandah with pergola and garage. 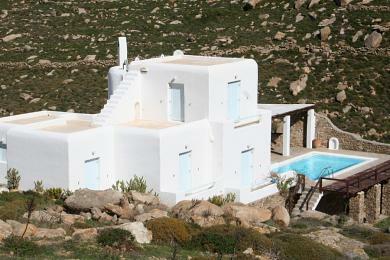 The first floor has 2 bedrooms and 2 bathrooms and a big verandah with fantastic view to the Aegean Sea. The basement consists of 2 big and spacious rooms and 2 bathrooms. Central heating. Garden, well.